Homework: Watch EDpuzzle video called "The twisting tale of DNA" and take 10 notes in your journal on important material. 1. Complete DNA and Genes worksheet, using yesterday's notes. ​2. Complete the "Transcription & Translation" EDpuzzle. These are very important notes so make sure you watch the video carefully and write all the notes that have the star (*) next to them! 5. Homework: Watch this video about mutations on EDpuzzle and write 7 important notes in your journal. 1. I strongly suggest that you complete each topic fully before moving onto the next topic. For example, watch videos on DNA structure and take notes, then complete the online activity, and then complete the worksheet, BEFORE moving onto DNA replication. If you try to do all the notes together and then all the videos together, you will get confused. 2. You do not have to watch all the videos if you fully understand it after one or two. There are just multiple options in case you prefer one video over another. ​3. As for the online animations, make sure to show me when you have completed each one so I can check you off! 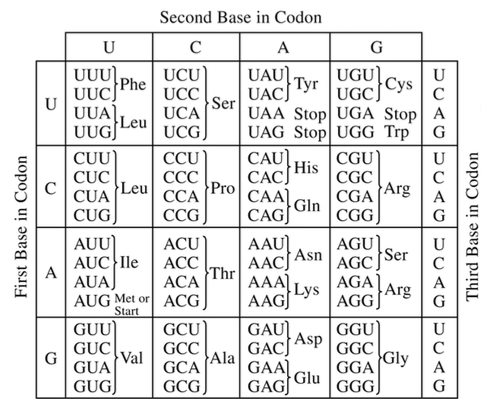 Teacher worksheet: Read article & describe why DNA is the code of life, in one paragraph. All enzymes/functions and steps of DNA replication, written in journal.